Believe it or not, the business world can be very unpredictable. Sometimes, it’s best to expect the unexpected. Customers come and go, your business plans may change suddenly, or the company could end up having budget issues. With that said, this is why it’s important to have a contingency plan for these incidents. After all, the way you’re running things in the workplace, may be subject to change in a few years. Generally speaking, that’s the nature of owning a business. Speaking of which, what if you experienced a disaster in the business, such as a weather related incident, or even a security breach? This is where a disaster recovery plan comes into place. Many businesses are certainly aware they need to recover their data after it’s lost. However, just why is this plan so important? 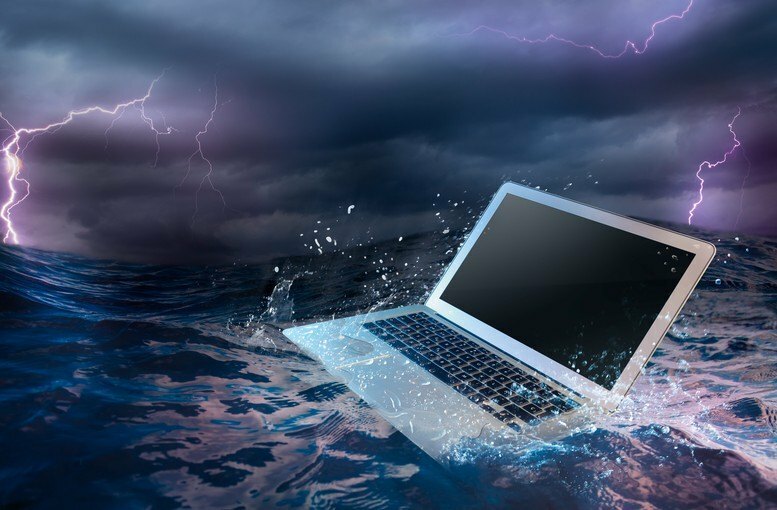 Overall, here are the reasons it’s essential to have a disaster recovery plan for your business. This may come as a surprise to you, but having a disaster recovery plan, helps to secure your business reputation. After all, don’t forget that in order for a business to be successful, cooperation is required on both sides. Your customers may be loyal, but that trust could be broken if there’s an incident in the workplace. Either that, or if you fail to have a plan for protecting their data. More importantly, however, your company’s reputation could be damaged due to a disaster. In fact, let’s look at an example. Let’s say there was a security breach in the workplace, or even a power outage due to weather. If you don’t have a way to recover the lost data of your customers, they will go and do business elsewhere. On top of that, they might even tell others about the business incident. In the long run, this reduces the chance of having new customers. However, that’s not to say customers are stupid, either. They certainly know that disasters are an occurrence in the business world. However, they expect you to have a plan for it and not sit back idly. While there are plenty of other reasons disaster recovery is important, faulty technology is one of the most essential. If there’s one thing to remember in the workplace, it’s that your hardware isn’t always reliable, and can fail at any time. Of course, though, that’s not to make you paranoid about using devices in the workplace. However, it’s meant to emphasize just how fragile most technology is. Let’s say you had a personal laptop in the workplace, which was five years of age. If you don’t make the proper upgrades and replace it, your personal computer could experience a crash and/or a loss of data. Also, keep in mind that many devices nowadays are installed with cheap hardware. Because the developers cut corners, the hardware has a shorter lifespan. Generally speaking, this means that you have to replace it sooner. Overall, it’s important to have a disaster recovery plan in case your hardware fails. Whether you experience the blue screen of death, or your laptop is beginning to show its age, you need to be prepared for any event. Not every disaster or incident that happens in the workplace is beyond your control. More than often, in fact, it may be due to careless mistakes. Sometimes, it’s your own fault, but other times, it may be because of your employee(s). For example, what if you ended up deleting some important documents? Even worse, let’s say one of your employees wasn’t educated on the workplace security procedures. There’s a chance they may end up causing a loss of data in the company. For more information about the importance of disaster recovery, contact us today at BWS Technologies. We look forward to hearing from you.